WAHINGTON — After a series of public hearings in October and November, Montgomery County has expanded its dockless bike program to North Bethesda. It follows a yearlong pilot program with dockless bikes in Silver Spring and Takoma Park that started in August of 2017. 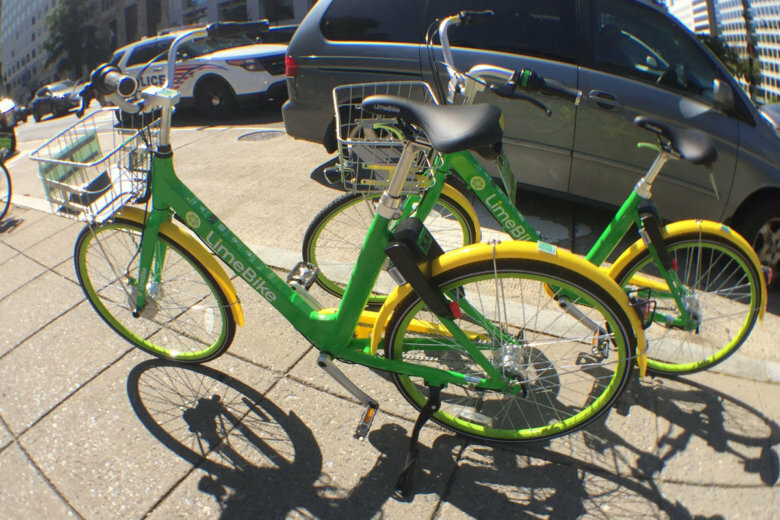 The expansion to North Bethesda involves just one dockless electric bike operator, Lime, and it does not include electric scooters, although the Montgomery County Department of Transportation said e-scooters remain under consideration. The addition of North Bethesda includes an area bounded by Seven Locks Road on the west to Montrose Road to the north, Veirs Mill Road to the east and Beach Drive to the south. An MCDOT report on the pilot said during a six-month period during the pilot, riders took about 18,000 trips, with 15 percent of those trips ending outside of the pilot boundaries and seven percent of bikes during a six-week observation period were parked inappropriately, causing an obstruction. Helmets are not required, but MCDOT said it encourages helmets with reflective items.